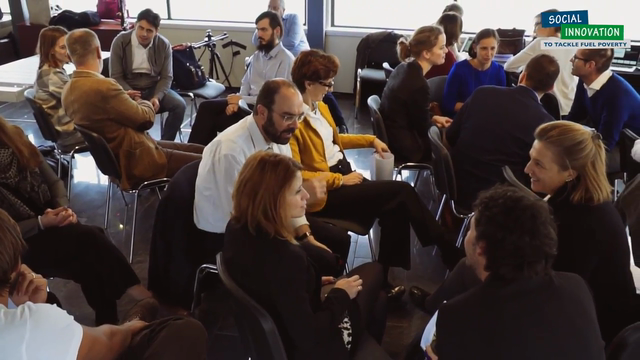 Schneider Electric Foundation and Ashoka, in partnership with Enel, gathered 15 social entrepreneurs to introduce them what’s going to happen next. After dedicated mentoring sessions, they would discuss and develop the strategy to scale the impact on combating with fuel poverty in European level. Some of the key topics of discussion for generating new solutions for unraveling fuel poverty were: nuclear energy efficiency in the household; volunteering to construction works; power cuts and secure permanently energy supply. Click here to find out what Schneider Electric is doing to facilitate access to energy. Click here to read Schneider Electric's work on the fuel poverty issue.